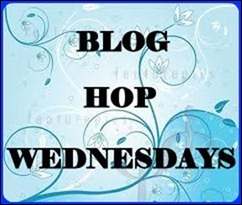 For this month's Blog Hop Wednesday i am paired with Divya of Divyazeasyrecipes. This is second time time i am paired with her. I really love all her recipes and this time i made Idiyappam. Idiyappam is one of fav food. i was planning to post idiyappam in my blog for long time, due ot one or the other reason i was postponing it and when i saw this recipe in her space i ended my search. I love Idiyappam with Thengai paal/Coconut milk. I followed her direction with my rice flour:water ration. If u are doing with fresh homemade rice flour then you can do it simply by adding boiled water and knead it like chapathi dough but with store bough rice flour this method only help you to get soft and tasty Idiyappams. Today i made this idiyappam with Jaggery sauce and roasted peanut-sesame powder. If u haven't tried this combination before plz give it a try, (if u love sweet version). This is such a delicious recipe, i learnt this from my H, he taught me his Grandma's recipe. Take a wide vessel/skillet, add water,pinch of salt and oil and bring it to boil. Once it starts boiling, add rice flour gently and keep stirring using a wooden spatula. Turn the heat to low medium and keep stirring until it forms a smooth non sticky dough. If u feel bit sticky, add 1-2 tsp of oil and keep stirring until you get a smooth dough. Then turn off the stove and cover the dough for a minute and allow to cool for few minutes. Meanwhile, grease your idly plates and get ready with your murukku press. Then take the dough and pinch a big ball sized dough and put it into the murukku press and press gently in to the prepared greased idly plates. Steam it for 10 minutes, allow to cool and transfer to serving plate. That's it Idiyappam is ready to serve. Enjoy with sweet coconut milk or with Jaggery sauce. Dry roast all the ingredients till golden brown and ground to fine powder. Use as needed, this powder can be eaten as such by mixing it with jaggery powder/sugar. Store it in air tight container. This powder can be added lastly in all your stir frys like potato,plaintain,brinjal,etc. Powder Jaggery and add it to a sauce pan along with water and bring it to boil. Then filter it using a tea filter and add it to idiyappam as per your taste n Enjoy!! This is on its way to Radhika's Blog Hop Wednesdays ~ Week 14. Nice healthy one !! perfectly done !! I love idiyappam with thenga paal... The sesame seed jaggery sauce is very new to me... would love to give it a try. Very delicious n yummy idiappams!! Wow! This is awesome!! I should make this sometime! Wow! Loved your combination of jaggery syrup and peanut-sesame powder!!! Sounds super tasty! i love to have it with coconut milk..very inviting clicks! I have also been postponing to post idiyappam for a long time now..your's looks perfectly made..but this combo with peanut sesame powder and jaggery syrup is very new to me...looks good. The idiyappam looks so perfect, I haven't had idiyappam with jaggery sauce, shud try some soon..
Havent tried idiyappam with jaggery Looks so lipsmacking good!! Looks like a tasty combo,new to me. perfect idiyappam..my favourite! !nice click dear! I usually make the first version but not tried the jaggery ones.Looks yummy!!!! My favorite breakfast! Looks so so tempting! வேர்க்கடலை பொடியும் வெல்லபாகும் இடியாப்பத்துக்கு புது காம்பினேஷனா இருக்கு..தே.பால் ஊற்றிதான் சாப்பிடிருக்கேன்....சூப்பரா இருக்கு!! I had this one many years ago during a South Tour and I was in love with it, but unfortunately could not have it after that and no recipes even (as I didn't know the name). Today ur pics relivened my memories and I'm just so happy to find it with the complete recipe....wow wow wow!!! Thanks a ton for this. Thanks everyone for your lovely comment, this peanut-jaggery combination with Idiyappam really a delicious one...do give this a try and let me know your result. Perfectly made one, looks fantastic.